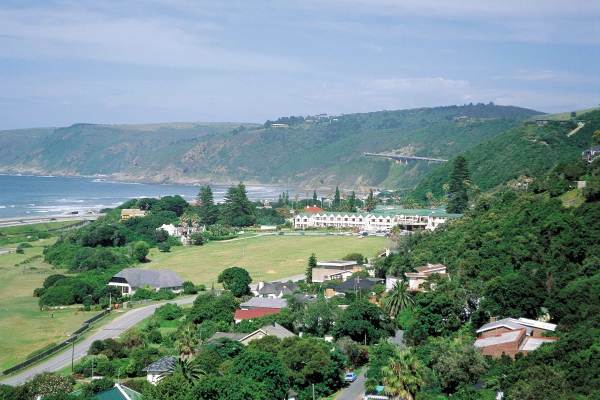 Explore the scenic Garden Route along the southern coastline of South Africa. Golden beaches, pristine rivers, indigenous forests and adventure activities to suit all types. Cape Agulhas, the rivers and forests of Wilderness, the beaches of Plettenberg Bay including activities from Big 5 Game Drive, Cango Caves and Ostrich Riding, canoeing, or relaxing in the beautiful surrounds. Beginning in Cape Town, our Garden Route adventure takes us along the amazing Route 62 – reputed to be one of South Africa’s most scenic drives. From the mountainous wine lands of the Cape across the dry “Karoo” region we head for Oudtshoorn – the Ostrich capital of the world. We visit an ostrich farm, explore the famous Cango Caves and spend the night in Oudtshoorn. After breakfast we descend the spectacular Outeniqua Pass on our way to Knysna – the heart of the Garden Route, and spend time exploring this popular town with its quaint shops, markets, and restaurants. After lunch we pass through the sea side village of Plettenberg Bay with its spectacular beaches. We stop at the Bloukrans Bridge to take in the magnificent views and allow the brave to do the Bungee jump en route to our final destination - Storms River Village. The morning is spent exploring the magnificent Titsikama National Park, famous for its indigenous forests and spectacular coastline. Hiking is popular as is relaxing on the beach taking in the magnificent surroundings. Travelling east from the Garden Route, we enter the Addo Elephant Park and spend the afternoon on a game drive. The Addo is home to the Africa’s Big 5, and renowned for its large herd of elephants and other animals. Leaving the Eastern Cape we head back to the Garden Route, stopping at the world’s highest bungee. There is time for those who have the courage to take the plunge. The afternoon and evening is spent at the luxurious Garden Route Game Lodge. Another game drive in the late afternoon allows us to spot more wildlife, including lions. This evening we enjoy a fantastic African buffet dinner at the lodge. We do one final game drive before leaving for Hermanus – famous for its whales. Offering the best shore based whale watching in the world, we spend time wondering the cliff paths taking in these huge mammals. Alternatively we enjoy time in this sea side town, before heading on a scenic drive along the False Bay coastline. Note that whale season is from July to November. Our tour ends in late afternoon in Cape Town.